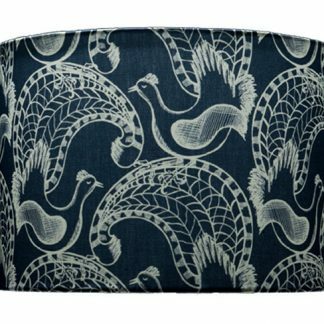 lampshades in a drum shape with a beautiful design is translucent when lit. 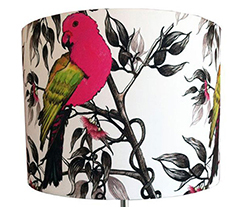 Our custom made bonded drum lampshades are manufactured in Australia using designs from our collections. 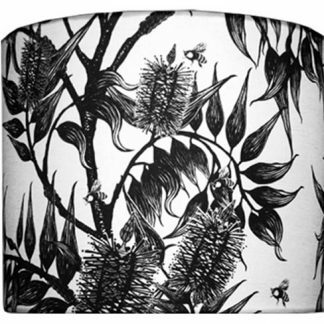 The Linen is printed and then adhered onto a styrene backing this gives them a beautiful translucency when lit. You can choose from 2 fittings either a standard base or a pendant fitting. 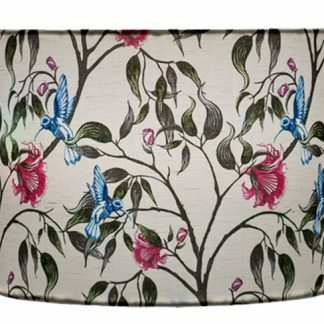 The 16 “( 40.6 cm) lampshade that we have chosen here suits both a standard base or looks great as a pendant, however custom sizes and shapes are available. 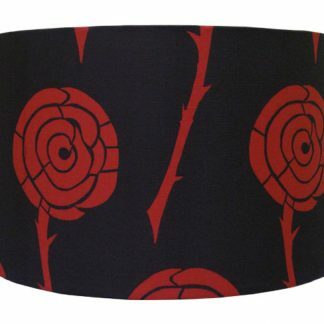 Allow 21 days for the printing and manufacture of your lampshade. 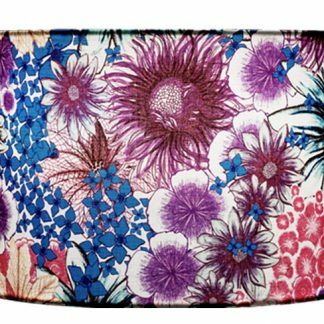 Please contact us if you would like one of our other designs, a different colour or a custom size.